DreamStation DXi utilizes physical models of analog circuits to open up new horizons in music composing. It brings you alternative and powerful ways of creating sounds that range from the most futuristic electronic textures to the vintage tones of the analog synths that defined the music of the 70s. With this tech tip you’ll learn how to utilize the power and potential within SONAR, Home Studio 2002, Music Creator 2003, and Plasma, along with Dreamstation DXi to create a wide range of synthesized sounds. 1. Go to an audio track, right click on the 'FX' bin, select DX Instruments, and DreamStation DXi. 2. 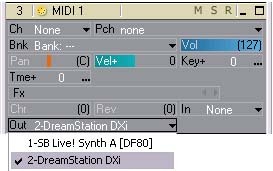 Go to a MIDI track, click the 'out' field, select 'DreamStation' as the out source. 3. Double click on the 'DreamStation' in the 'FX Bin' on your audio track to bring up the DreamStation user interface. 4. You can load some of the preset sounds by clicking on the preset drop down menu. You can now experiment with the DreamStation sounds. The Buffer Size slider enables you to set mixing latency manually, overriding the value set by the Wave Device Profiler. Lower numbers increase the risk of audio problems. WDM sound card drivers offer lower latency than the older MME type. 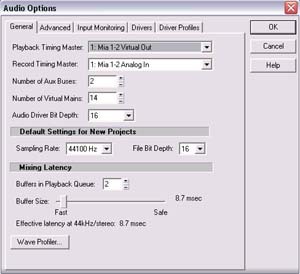 If you use an MME sound card driver and your project uses an audio driver bit depth of 16, you should enable WavePipe Acceleration in the Audio Options dialog box, in the Driver Profiles tab. To automate a DreamStation parameter you can do the following. 1. 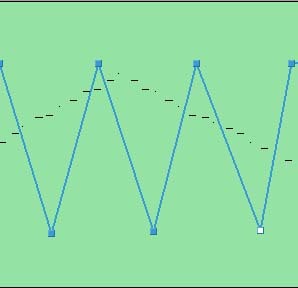 Right-click on a MIDI clip with recorded data. 2. 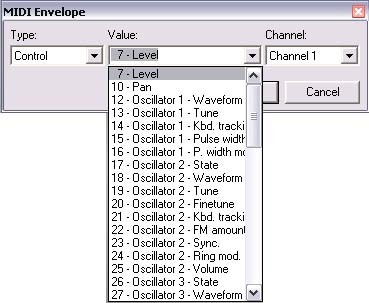 Go to ENVELOPES | CREATE | MIDI. 3. Select a parameter to automate. 4. This will create a horizontal line across your MIDI clip. Right click or double click on the line to add a node. 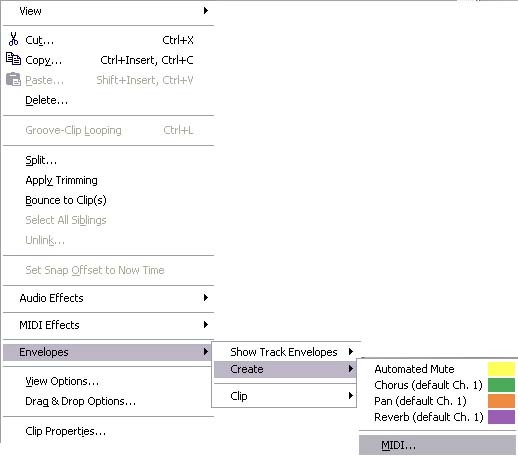 You can then create an envelope shape to automate parameters in your track. Automatically create your own sounds with the DreamStation DXi without knowing anything about analog synthesis. Hold down the Shift key on your computer keyboard and then click the CLR button at the top of the DreamStation window. This edit will randomize all of the DreamStation's parameters, and will create a new sound. If you like what you hear, save the sound as a preset and repeat this tip until you have all the cool sounds you need.